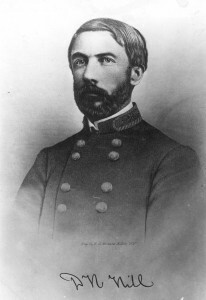 By 1854, the rigid disciplinarian D.H. Hill had arrived at Davidson armed with a demerit system to instill a “system of responsibility” in the rebellious Davidson men. 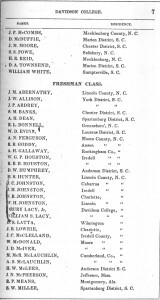 Yet the events of December 21, 1854, demonstrated cracks in Hill’s disciplined order for Davidson College. Innocently enough, as Beaty explains, the young men of Davidson were “blowing-off pre-Christmas high spirits” by gathering in front of the chapel and celebrating in good cheer. The faculty, led by Hill, disapproved however, and all four of them “trooped up to demand that [the students] return to their rooms.” A harmless celebration turned to rioting, as the students responded by throwing rocks at the four faculty — and one hit Major Hill himself. Hill escalated the feud by drawing his sword on the rebellious students. Upon Hill’s direct threat of violence, Beaty explains that the students decided “that they were ready for bed, after all,” in an act of concession to the faculty. 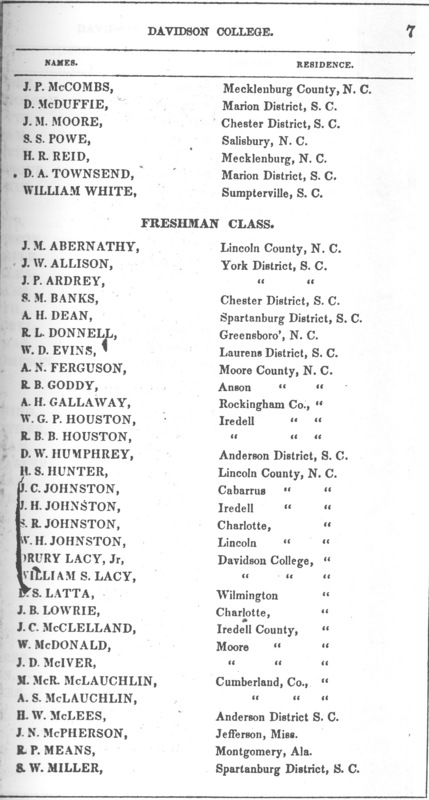 As the situation continued to escalate, Beaty explained that “Davidson entered upon the darkest period of its history.” The events of December 21, 1854 and the ensuing controversy led the students to collectively leave the college en masse on January 3, 1855. The events of December 21, 1854 are important to Davidson’s history, as they show how a little happening had a major impact on the history of the institution!